“The Zambian economy has continued to expand at a rapid pace, although experiencing pressures in some areas. Overall output growth is projected at 6 percent in 2013, with the decline from 7.2 percent growth in 2012 largely due to lower agricultural production. Copper production has continued to increase strongly despite lower prices on the international market, and the economy has also benefitted from high levels of foreign direct investment and rapid growth in non-traditional exports. Moreover, at 7.1 percent year-on-year in the latest data, inflation has remained broadly at last year's level. “The main economic challenges are in the fiscal area. Government expenditures in 2013 will be significantly above budget, including from fuel subsidies incurred before retail prices were raised on May 1, the civil service wage increase that came into effect this month, and costs of covering the Food Reserve Agency's operations and outstanding debt. In addition, revenue is short of target. Altogether, the budget deficit for the year is now expected to reach about 8½ percent of GDP. “The mission very much welcomes the authorities' plans to comprehensively address the fiscal challenges in the budget for 2014. With a combination of stepped-up revenue collection and tight expenditure control, the draft budget aims to bring the deficit to about 5 percent of GDP, similar to what was originally planned for 2013. Ensuring that this budget is adhered to will be important for macroeconomic stability and hence the foundation that will support continued strong growth of the Zambian economy. “To maintain strong economic growth, it will also be important to safeguard competitiveness and build buffers against external shocks. Last year's sharp increase in minimum wages and this year's large pay award to civil servants are putting upward pressure on labor costs in both the private and the public sectors. Competitiveness may suffer if the higher wages are not matched by higher productivity. In addition, while recent progress in this area is encouraging, a further build up of reserves from the current level of less than three months of imports is needed in light of risks stemming from a potentially deteriorating external environment. 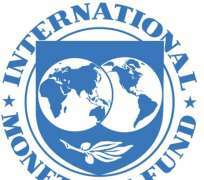 1 Under Article IV of the IMF's Articles of Agreement, the IMF holds bilateral discussions with its member countries, usually every year. A staff team visits the country, collects economic and financial information, and discusses with officials the country's economic developments and policies. On return to headquarters, the staff prepares a report, which forms the basis for discussion by the Executive Board.